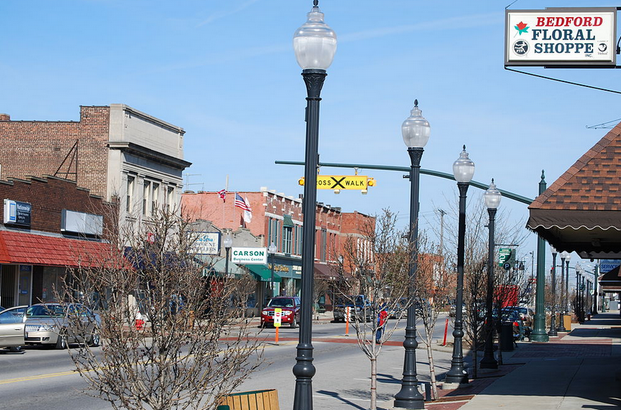 Why use Bedford, OH Property Management company? Why use a Bedford, OH Property Management professional property manager? Consider the following. You can feel secure as you use our Bedford professional services which work as a system to protect you while maximizing your return on your property investment. Owner clients have reduced risk with our leasing and tenant guarantees as well as our easy out contract. Save money and get your house leased quickly with our professional videos, pictures and descriptions being exposed on 100s of websites and way more. Realty Trust Services 7 point screening process gives owners the best possible chance of getting a great tenant. Rely on our knowledge to most efficiently prepare your house for rent and select an ideal rental rate. Landlords can rest easy, and get an uninterrupted night’s rest, knowing our 24 x 7 take that midnight call and dispatch help as necessary. Be in the know and head off potential problems before with exhaustive property walk through video reports. We handle all bothersome collection and emotionally draining collections calls so focus on family and business. No knots in your belly this year when you prepare your taxes because all of the reports will be neatly delivered with your 1099. You have the option to rent, lease option, and / or sell your home, simultaneously, if you desire. The county auditor may impose upon any person who violates this section a special assessment on the residential rental property that is the subject of the violation that is not less than fifty dollars or more than one hundred fifty dollars. Such special assessment may be appealed to the county board of revision. http://codes.ohio.gov/orc/5323.99 Ohio Revised Code Rental Registration Law: http://codes.ohio.gov/orc/5323. How to go about changing the address on tax bills: First, go to their website treasurer.cuyahogacounty.us, Second, find in the middle of the page forms or links for a change of address. Lastly, once information is submitted, the change will take approximately 24 hours to become in effect. Or http://rtsl.us/psr- will take you right to the form that you need to electronically submit. The following is required to be filed with the city: A rental registration is required prior to occupancy. Interior and exterior inspections are required prior to each new tenant or every five years, whichever is more frequent. The cost of the annual inspection for a single family unit is $50; a 2 family unit is $75 and for 3 or above is $25 per unit prior to renting the unit. Inspection certificate is due December 31 if rental unit will be occupied by January 1. Certificate of occupancy is required annually in December. The cost is for 1, 2, or 3 unit structure is $50 per unit; 4 units or more is $20 per unit. If fee not collected by March 31st, the fee is doubled and inspections become biannual. Point of sale inspection is prior to title transfer. The fee is $50 for single family unit; $25 for each additional rental unit. Escrow account is created prior to sale. Any person violating any provision Chapter 1311.18 of the Building and Housing Code will be guilty of a misdemeanor of the first degree and shall be punished as provided in Chapter 1311.28 of the Building and Housing Code of the City. Link to Application for Certificate of Rental Inspection http://rtsl.us/psri Link to Application for Annual Rental License http://rtsl.us/psrj. Notes: Water meters are read and billed monthly with the bill being due always on the 15th of every month. There is a discount service for this water utility for a person who is 65 or older or who is 100% totally and permanently disabled. Only the owner can receive this discount and this discount is NOT used if the property is a rental. Applications for this water discount can be taken to the Tax Department along with your proof of income. It is required that the bill stays in the Owner’s name. Water meters are read and billed monthly with the bill being due always on the 15th of every month. There is a discount service for this water utility for a person who is 65 or older or who is 100% totally and permanently disabled. Only the owner can receive this discount and this discount is NOT used if the property is a rental. Applications for this water discount can be taken to the Tax Department along with your proof of income. There is no security deposit required. A tenant’s name is not generally listed on the water bill unless it is requested by the landlord. They do not send multiple bills, however, it is something that they may change at a future date. They will accept any changes to the account via phone, fax, email or mail and they will accept a Property Management Agreement. They will send our company the bill “Care Of” but the utility must still be in the landlord’s name. If you are starting or transferring service to five or more properties, you must fax information to RESEARCH AND RESOLUTION DEPARTMENT. The information they require are the business name, tax number (if you are not transferring a company, you will need the individual’s social security number), name of person responsible for the account, number of contact person, address to send the bill to, contact person and number in the case that an appointment for hook up needs to be scheduled. There is only one allowed billing address, however, a landlord can have a notification set up if the property is scheduled to have the gas disconnected or if the tenant has scheduled to have the gas turned off. A Property Management Agreement between the landlord and us is acceptable to make changes to service. Meters are read monthly and billing is done monthly, unless there has been a transfer of service in the middle of a billing cycle. Bedford is a city in Cuyahoga County, Ohio. As of 2012, the estimated population 12,907. The population density is 2,443.7/sq mi. Bedford has a total land mass of 5.40 sq mi. The elevation of Bedford is 948 ft. Bedford only has one zip code: 44146. It also only has one area code 440.